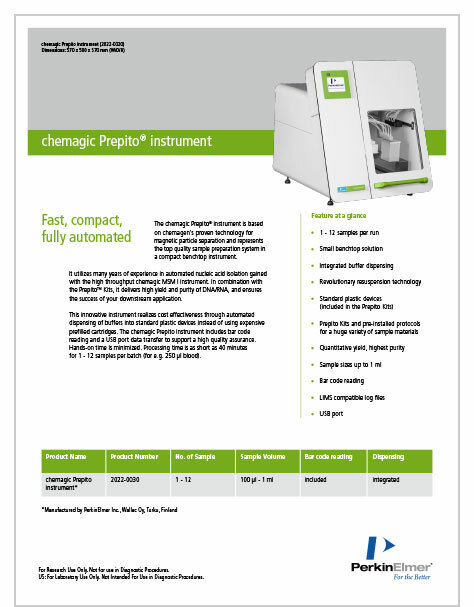 Based on chemagen’s proprietary M-PVA Magnetic Beads technology for high-yield extraction of ultra-pure nucleic acids, the chemagic Prepito® instrument represents the optimal system for laboratories that process less than one hundred samples per day or need to add flexibility to their current high-throughput workflow. 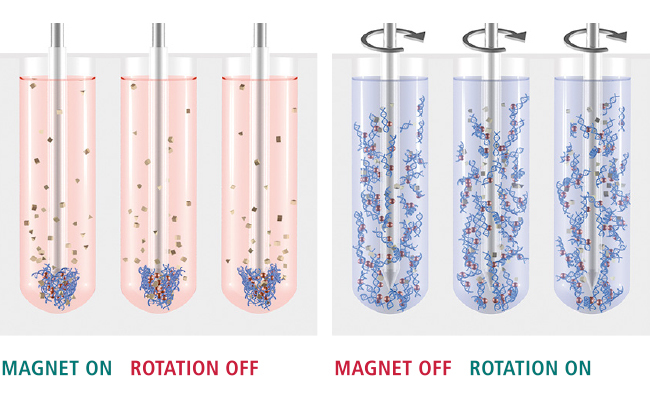 The chemagic Prepito® exploits transiently magnetized rods to ensure thorough mixing of the primary samples (when the magnetic field is turned off) and efficient collection of the magnetic beads (when the magnetic field is turned on). Designed for the use with the thoroughly validated Prepito® Kits for nucleic acid extraction, the chemagic Prepito® instrument keeps running costs lower by automatically dispensing the required amount of reagents directly from bottles rather than pre-filled cartridges. For research use only. 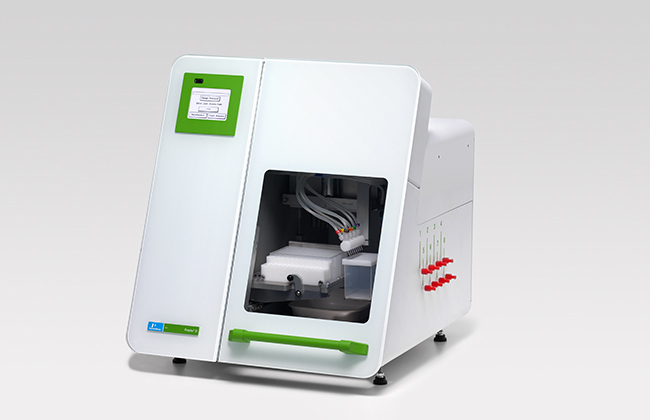 PerkinElmer also offers an IVD-certified version of the chemagic Prepito®.